See scan - perfect condition. This is a nice and rare Bulgarian pilot / aviation badge awarded for flight merit and for flawless flights without any incidents for a long period of time. 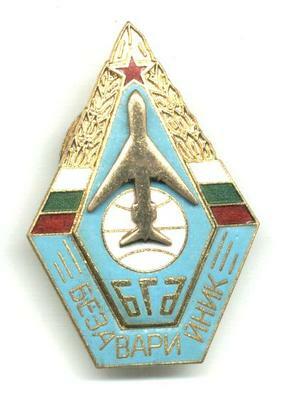 Scarce aviation collector piece and one of the nice Bulgarian pilot badges.